Donate a doctor to Guyana. Help train Dr. Higgins-Gill. 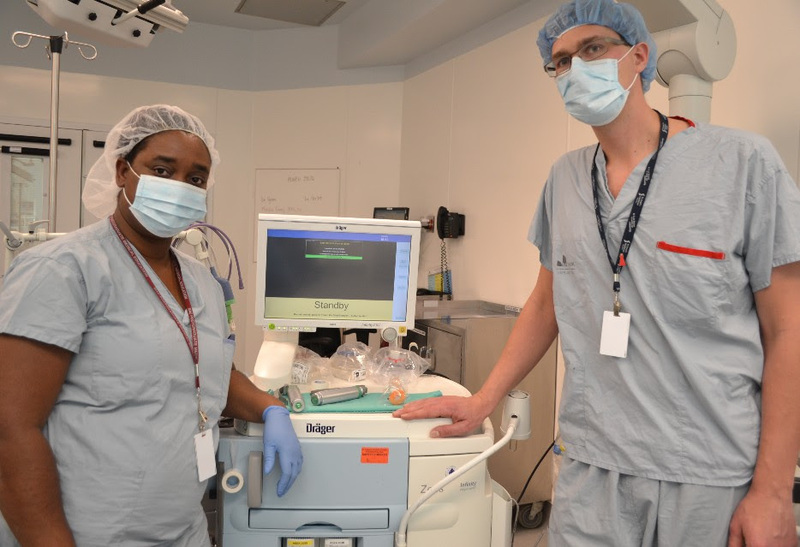 Dr. Youlanda Hendricks came to Hamilton recently from Guyana for a 16-week elective during her anesthesia residency. We sat down with Dr. Hendricks (left) and her clinical supervisor, Dr. Joel Hamstra (right) of St. Joseph’s Healthcare Hamilton, for a chat. You won’t find the village where Marlia* lives on Google Maps. It is upriver, way upriver, from the nearest city, the city with the clinic and the doctors from another country that are keeping Marlia alive. Marlia has end-stage renal disease (kidney failure). She needs to receive dialysis to stay alive. So, three times a week the married mother of two walks out of her small home at six in the morning. 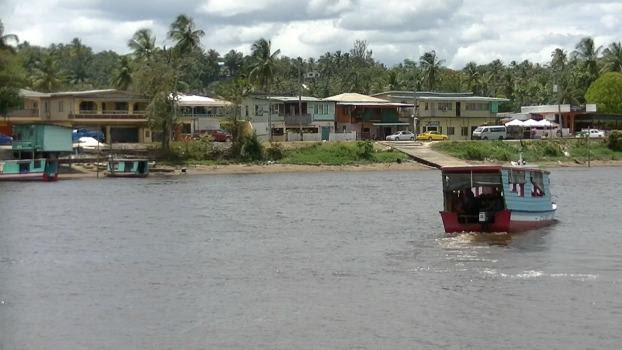 She walks through her small village on the Demerara River in Guyana’s jungle and enters a small boat to take her downriver to the industrial town of Linden. There she boards a bus, which takes her to a stop where she disembarks and climbs aboard another bus, which takes her to the city of Georgetown, the capital city, where she disembarks and walks to the Doobay Renal Centre. Travel time: four and a half hours. Founded in 1986 by the Sisters of St. Joseph’s of Hamilton, The St. Joseph’s Health System International Outreach Program (IOP) will celebrate its 30th anniversary this year. It first formed through a small partnership with the government of Dominica and gradually expanded to start projects in Haiti in 1992, and Uganda in 1995. Initially, the program sent Canadian doctors and nurses overseas to train local doctors and nurses. The program also donated equipment and supplies to countries where there were shortages. Today, the IOP also brings foreign medical professionals to Hamilton to train them in the latest in Canadian medicine so they can go home and share their new skills. In 2010 the International Outreach Program received charitable status from the Canadian Revenue Agency. While there are other medical outreach programs in Canada, the IOP is unique. The St. Joseph’s Health System International Outreach Program (IOP) is unlike any other program in North America. The IOP brings doctors from foreign countries to Hamilton to train them in the latest Canadian medicine. What differentiates the IOP is that it allows the visiting doctors to diagnose illnesses, prescribe medicine and operate on patients, compared to other programs that only allow the doctors to observe. Ignite News had the chance to meet the IOP’s director of development Alan Sharpe to discuss what the IOP would like to accomplish. Ignite News: What is the history of the International Outreach Program? Alan Sharpe: The IOP has been around for 30 years. We were founded by the Sisters of St. Joseph’s and it was a program that sent doctors and nurses overseas to train doctors and nurses. The program also donated equipment and supplies to countries that had a shortage of doctors and medical capacities. Five years ago we became a registered non-profit and we train doctors who train doctors in Haiti, Guyana, and Uganda. Nine children in Guyana are happy to have a father today. Thanks. A patient receives life-saving dialysis at the Doobay Renal Centre in Guyana, South America. In the city of Annandale, in the South American country of Guyana, there are nine children who are happy to have a father today. Their father is a labourer, just 36 years old, who has end-stage renal disease. He requires dialysis to stay alive, but the cost of each treatment is $200. That cost is essentially a death sentence for this father, since he earns less than $3,200 a year, and has a large family to support. This father is alive today because of many generous people. Among them are the five kidney doctors from St. Joseph’s Healthcare Hamilton who take turns every two months—at their own expense—to visit the renal clinic in Annandale. With the help of the International Outreach Program, these nephrologists are training local doctors to deliver life-saving dialysis. Our work in Guyana is a great example of how our supporters are helping us save lives in developing countries by training doctors, who train doctors. Training doctors is what we do, and we do it thanks to the financial support of people just like you. Thanks.